We are opposite the Club Hotel, near Northgate. We service all of Hobart. 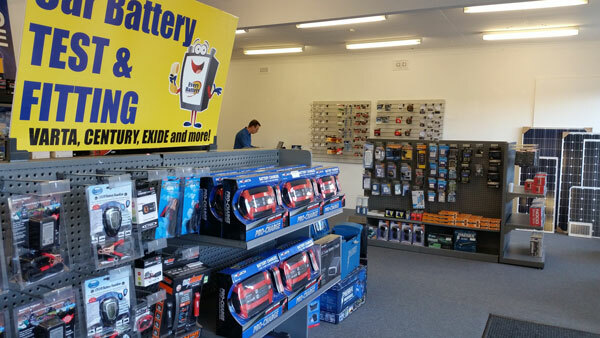 1 Hour Callout Service for Car Batteries - Tasmania wide. (More details). 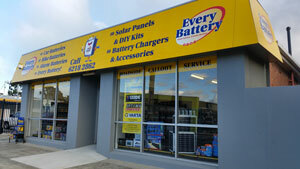 Why buy from Every Battery Glenorchy? We are an Independent Tasmanian Company, with real stores that you can visit or call for help. We offer a 30 day "No Quibble" money back guarantee. We want you to be 100% satisfied. As Australia's leading independent battery specialists we can offer unbiased advice and a wide choice of products. Other battery retailers are often owned by a Battery Company or forced to stick to a Franchisor's list of suppliers. We stock the very best manufacturers such as Duracell, Sanyo, Eneloop, Trojan, Ultimate, Odyssey, Optima, Lifeline & Sonnenschein. These American, Japanese & German manufacturers offer real quality, and we also sell Century batteries, which are often made in Australia. We offer full manufacturers warranty on all batteries we sell. We provide full after sales support. We are battery experts and can recondition and make up custom battery packs. We have a Qualified Electronics Engineer on staff, as well as a full team of experts at our suppliers. You can buy securely online, or order by phone or in one of our Stores. You can order Online but pay choose to pay "offline" if you wish to (by phone or bank transfer). Battery Advice & Help - Choosing the right batteries saves you time and money. Battery Testing service - Normally FREE - on the spot. Battery Charging service - Normally Free (with a test & condition report after). Battery Welding Service and Custom Re-Packs. Battery Reconditioning Service (e.g. old Ni-cad Powertool batteries if still servicable). Battery Recycling Service - most types of battery FREE, even if you didn't buy it from us. Battery Search Service - Huge choice of batteries available for old and obscure models.